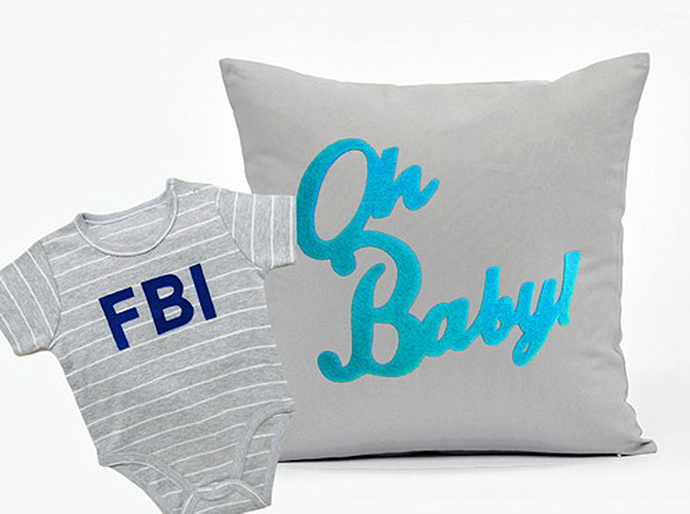 A set of chic typography baby shower gift set with touch of quirkiness. 1 piece of handmade 'Oh Baby!' nursery pillow cover, 17inchX17inch. 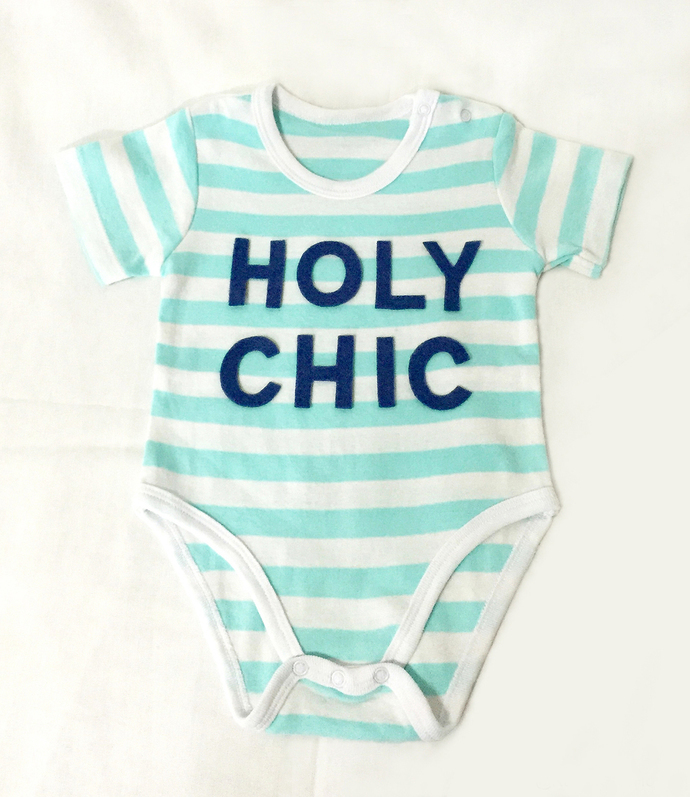 1 piece of quirky 'Holy Chic' romper. 1 pair of mint mittens/booties for newborn. ONE size only fits 6-12months Asian babies, and fits 3-9 months for Western babies as cutting is a little small. NOT the right size for oversized babies. If size is too small for the newborn, don't worry, he/she will grow really fast! Mint 100% cotton mittens and booties for the newborn. 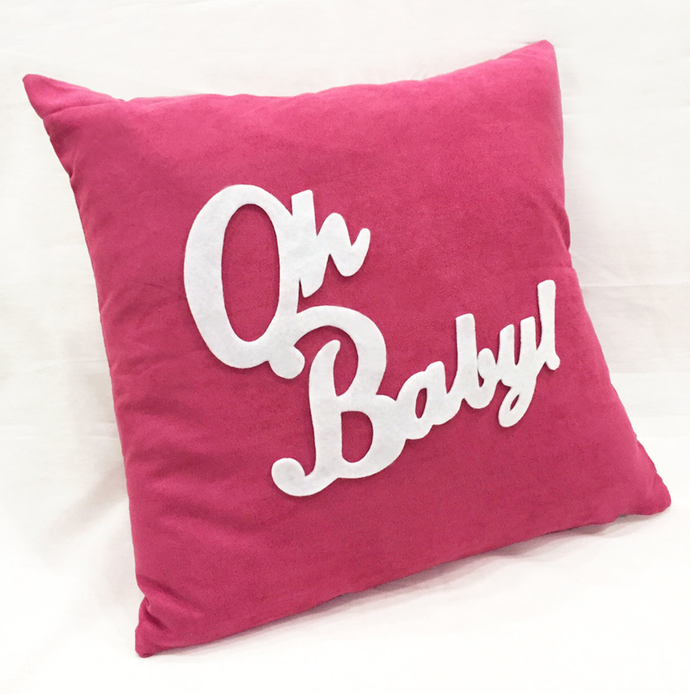 Decorative 'Oh Baby!' pillow cover in 17inch X 17inch, is in silky Satin base and hand-cut felt appliques, hand-stitched with love and time.